Our Original coexist design with a new slant. Printed in rainbow foil on our new women's fitted long sleeve hoodie sweatshirt. 100% cotton made in America. This originally was our prayer, our wish, our dream. When we created this Coexist design in 2004 it was the beginning of a global phenomenon. 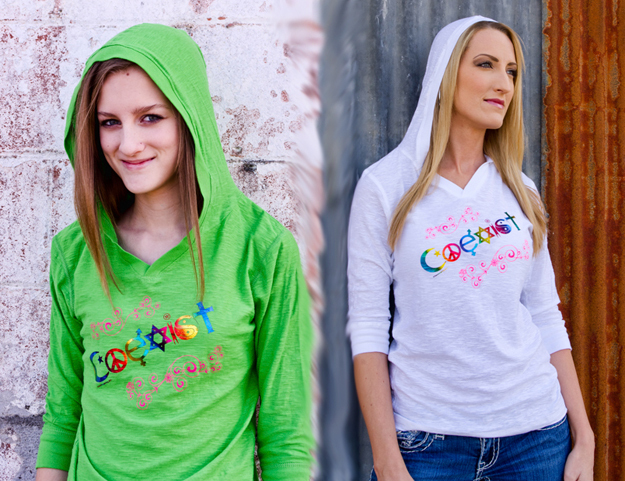 Many have copied our Coexist design and made many variations and parodies. If you see others selling online with this exact Coexist design, and without the Peacemonger.org name, these are non-sanctioned copycats. 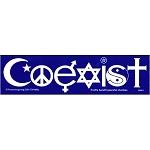 We appreciate your support of the original Coexist designers: Peacemonger.org!